Hey Watch Who You're Calling Slow! 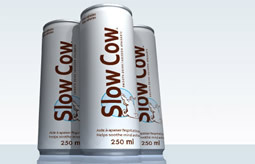 A lovely alternative to all the energy drinks out there now. And it's not to put you to sleep, but relax you. Relieves anxiety, stress and improves cognition among other wonderful things.